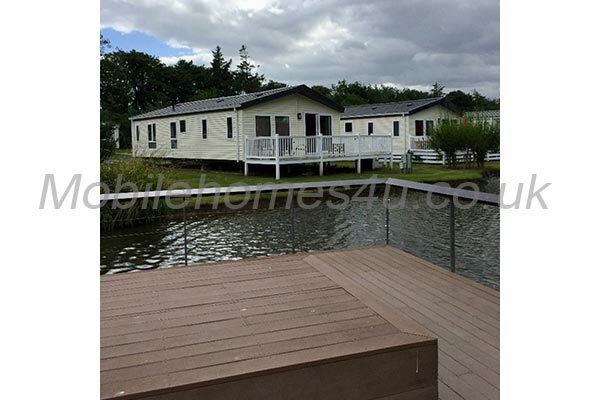 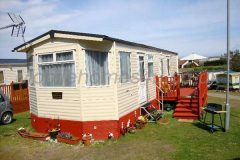 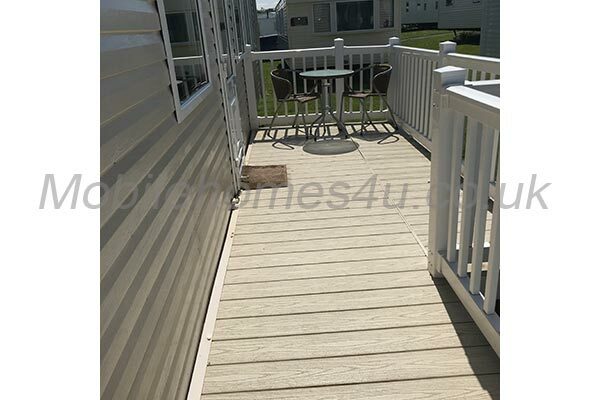 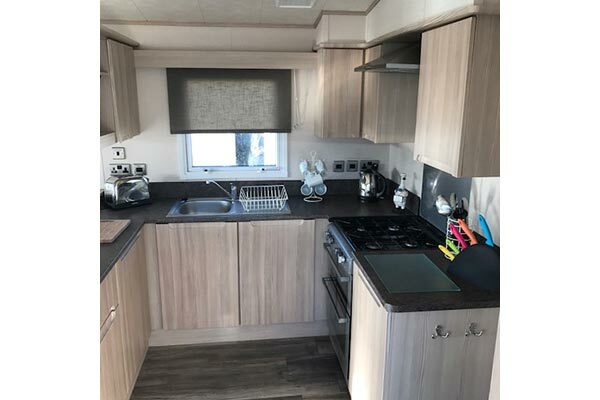 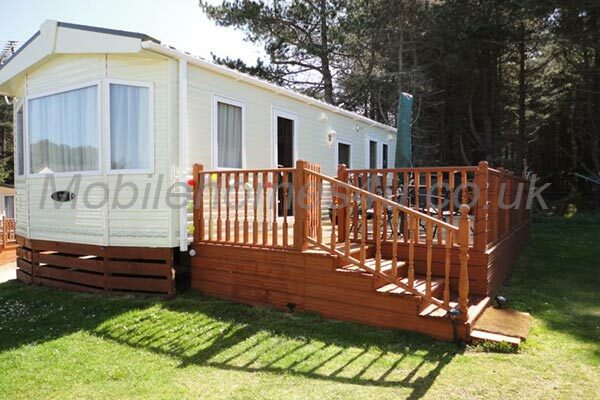 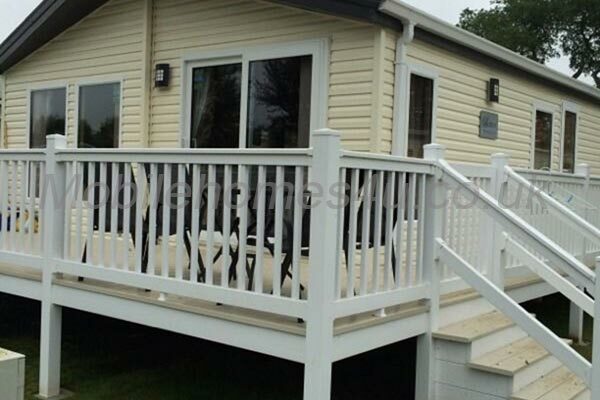 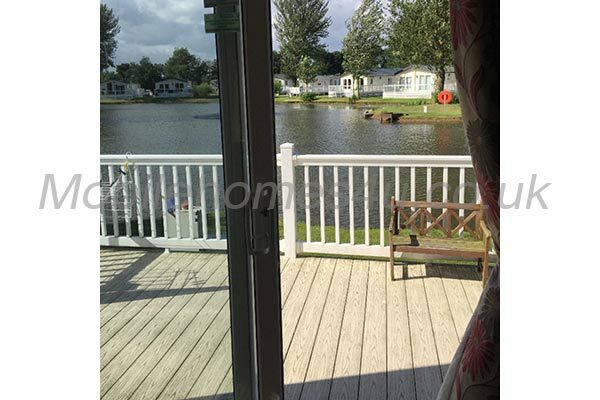 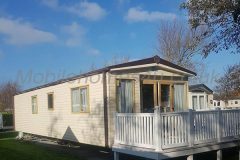 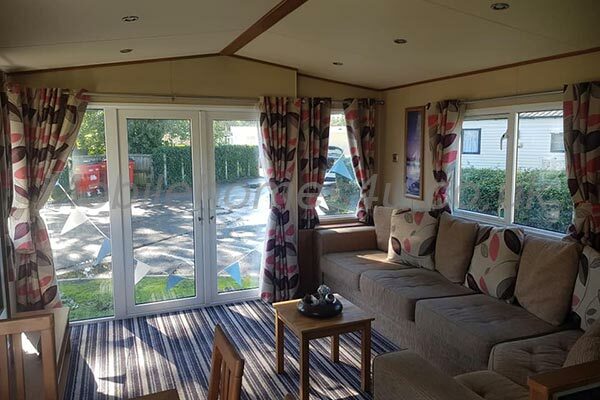 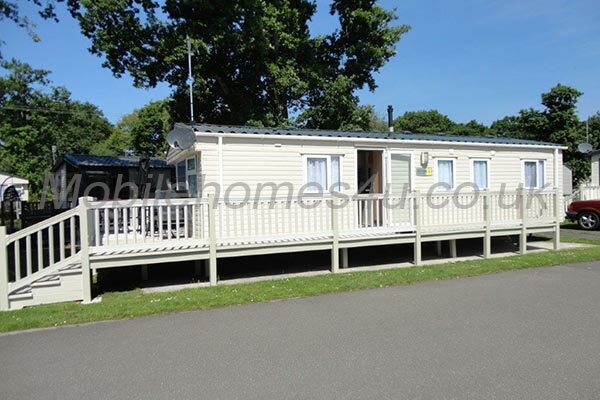 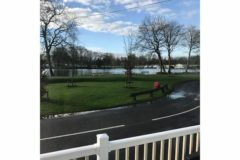 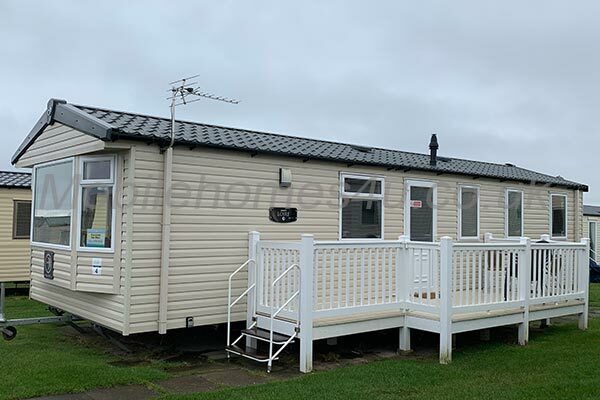 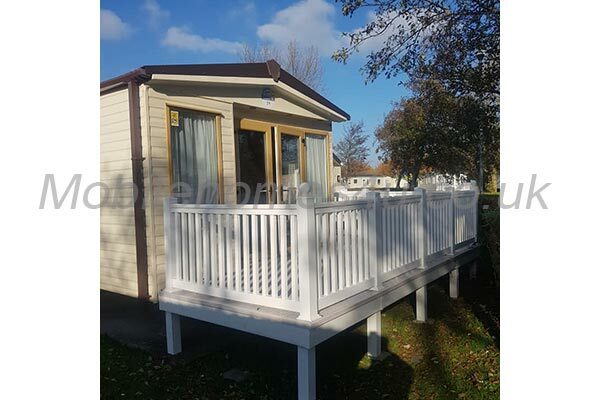 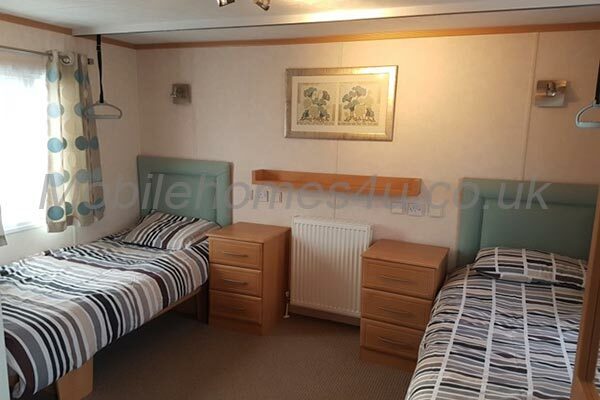 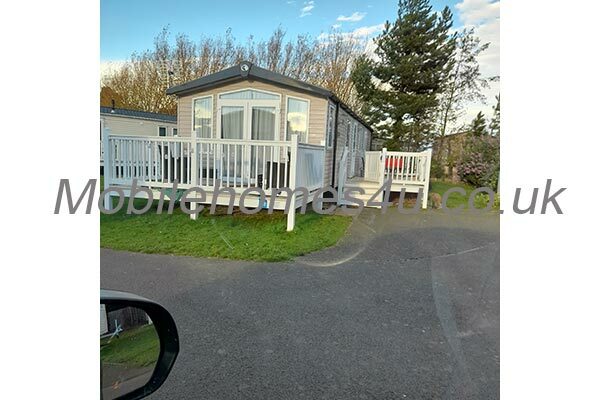 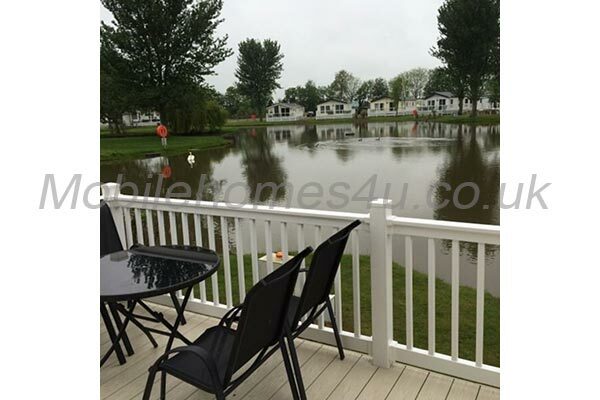 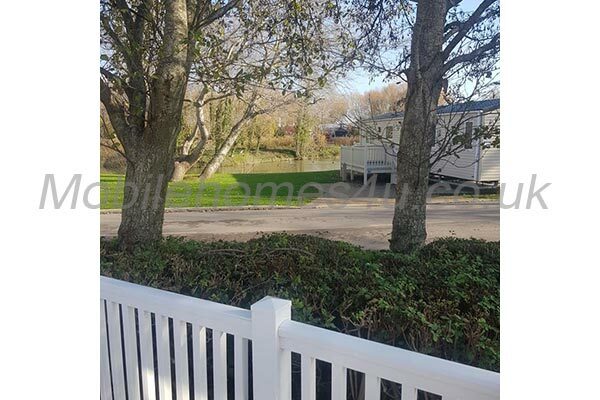 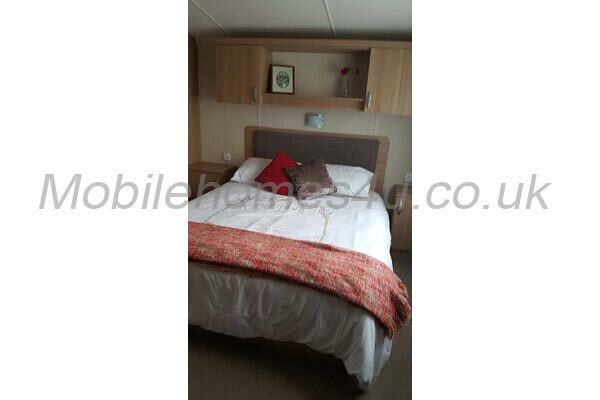 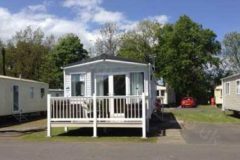 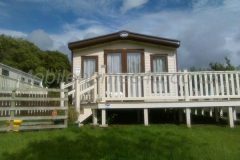 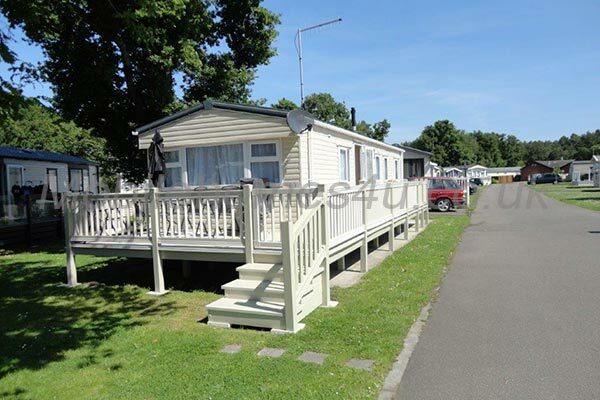 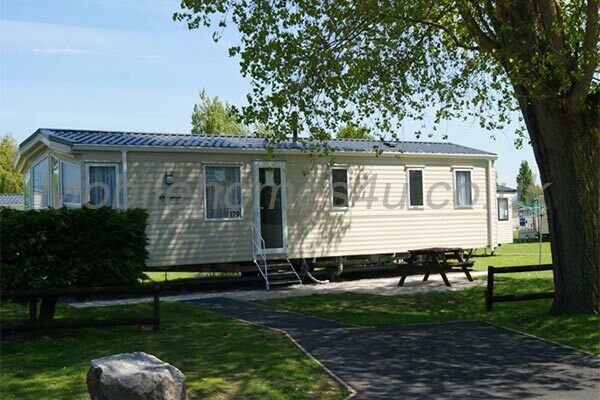 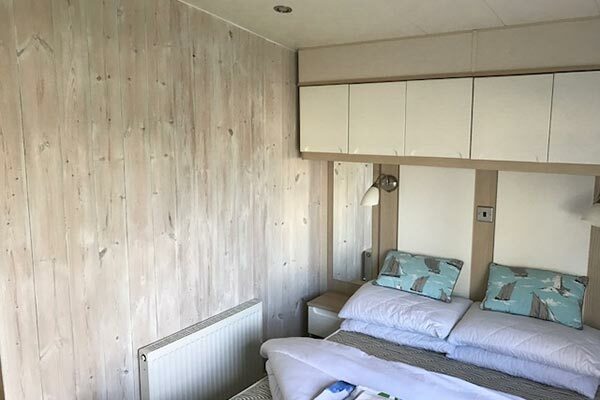 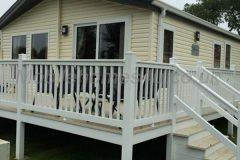 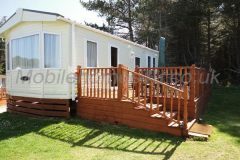 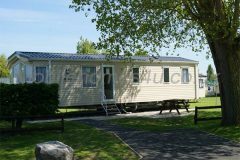 8 berth ‘Platinum’ caravan for hire on Haggerston Castle Holiday Park, with decking area, lake views and private parking. 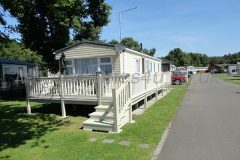 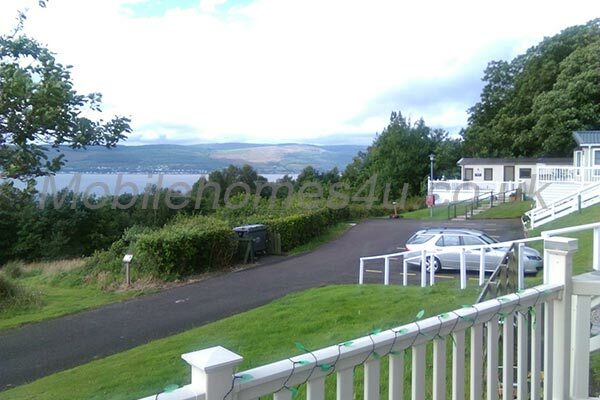 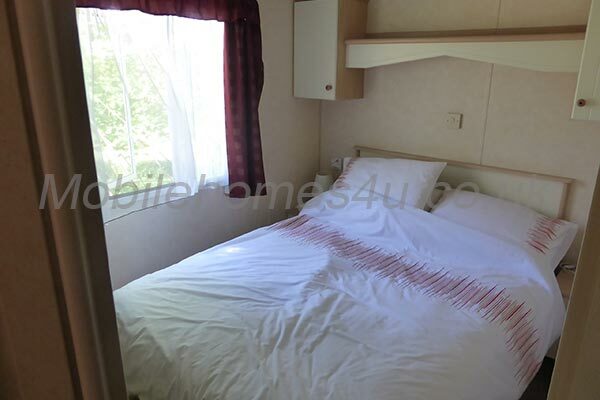 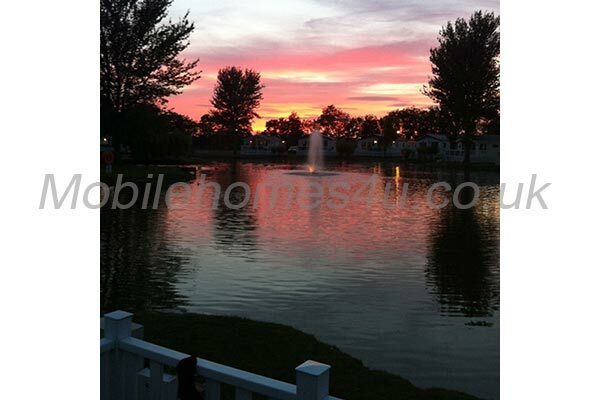 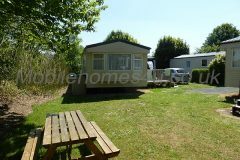 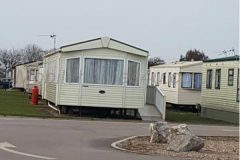 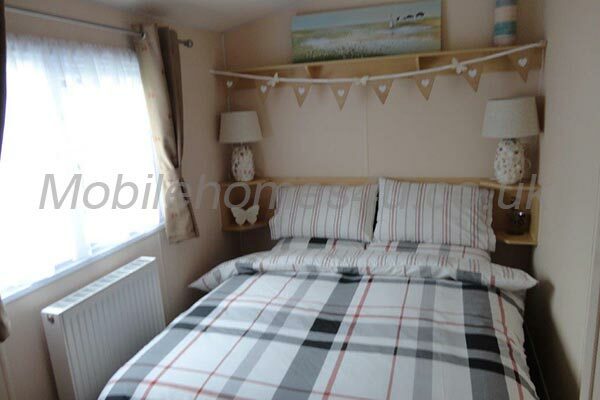 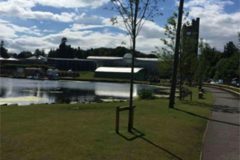 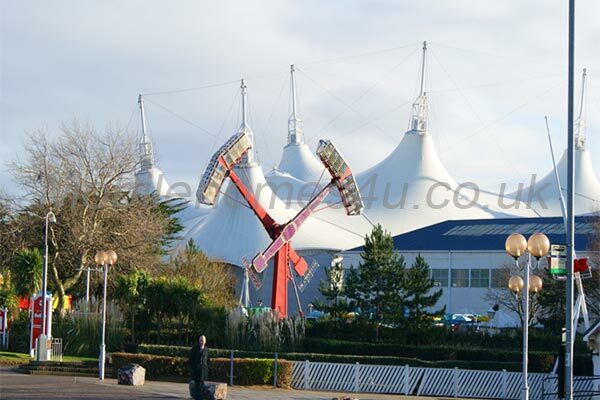 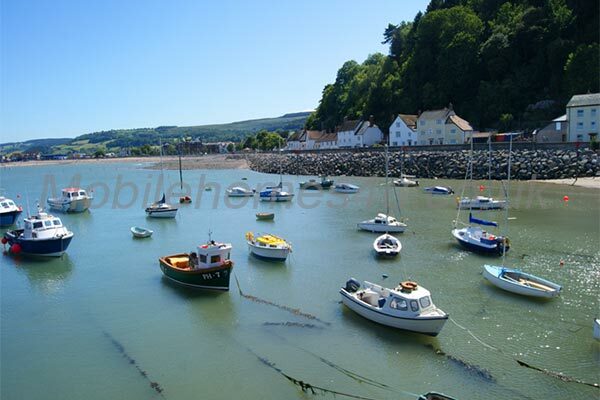 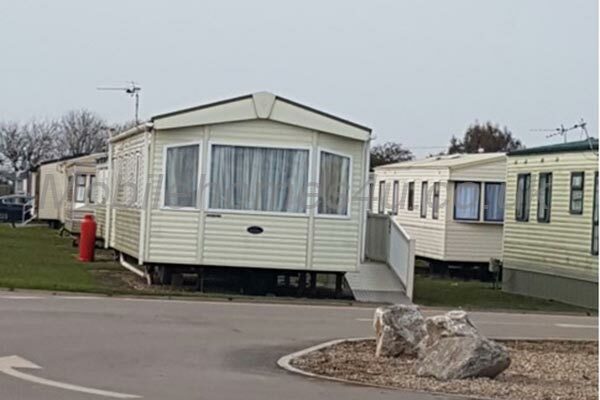 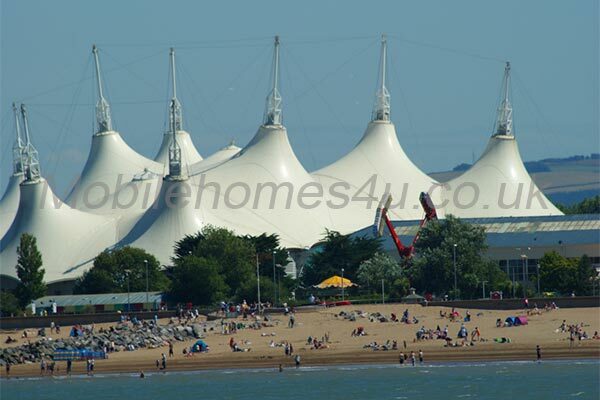 The caravan is just a 2 minute stroll from the main complex, where it’s nice and quiet to relax on summer nights. 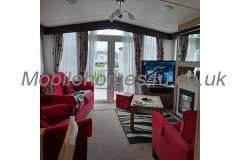 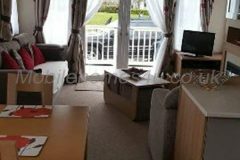 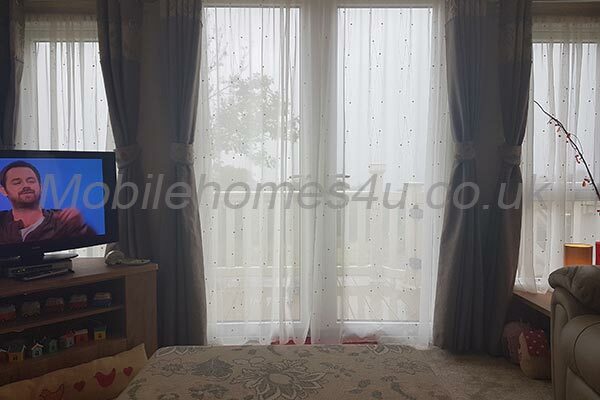 In the spacious sitting room there are big double doors opening out onto the decking, with rattan furniture to relax on. 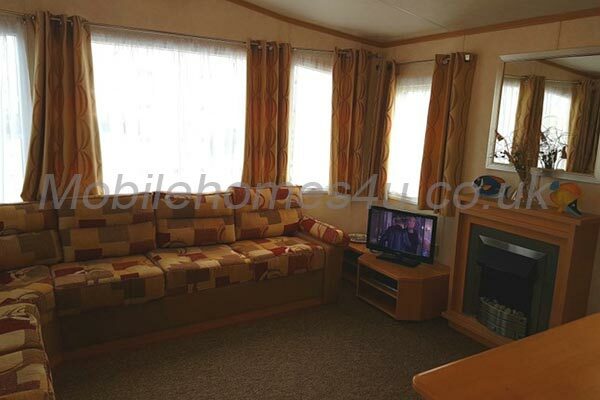 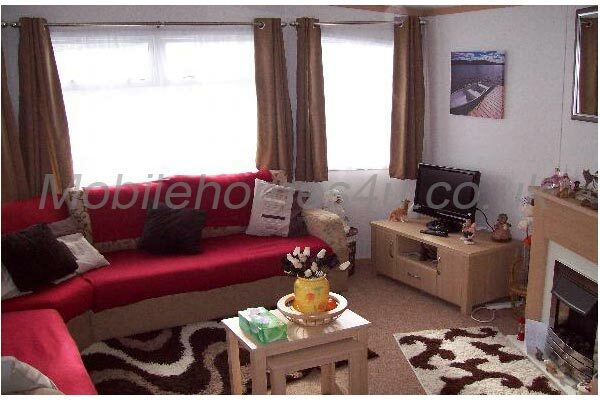 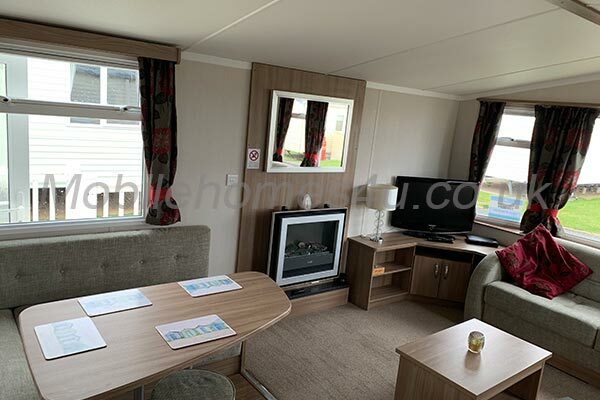 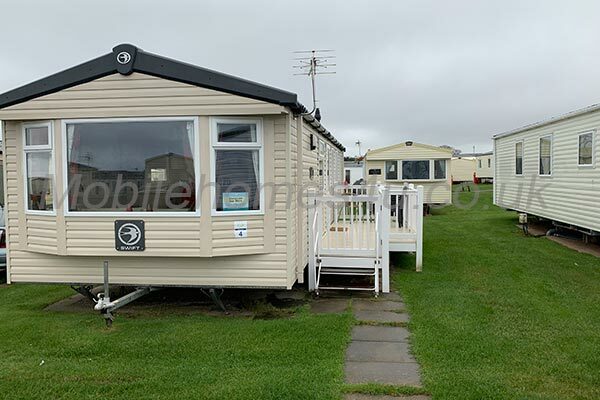 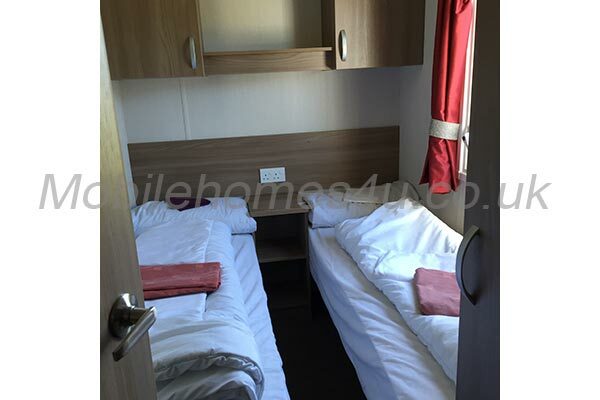 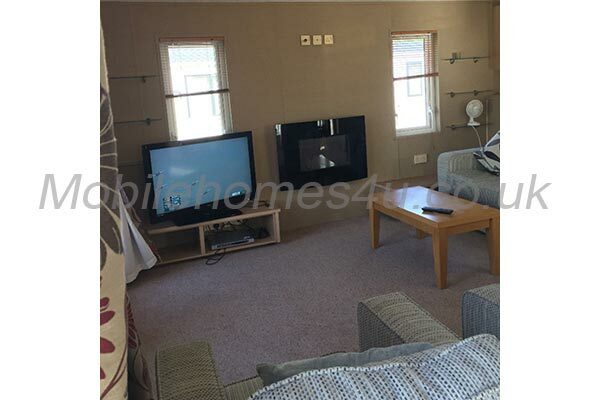 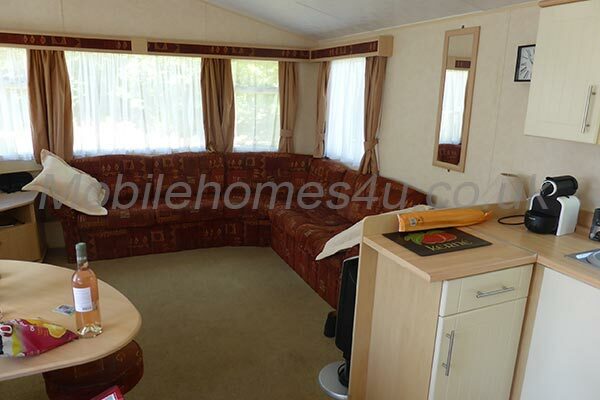 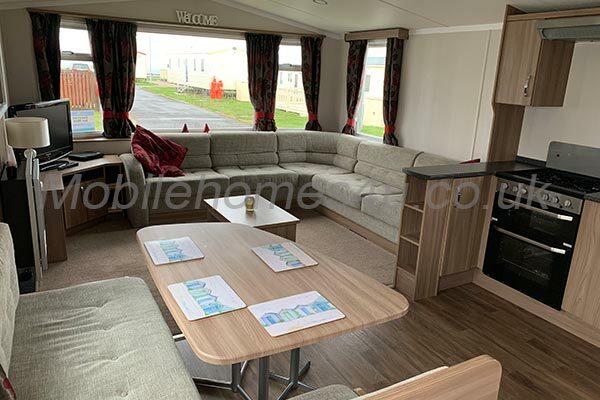 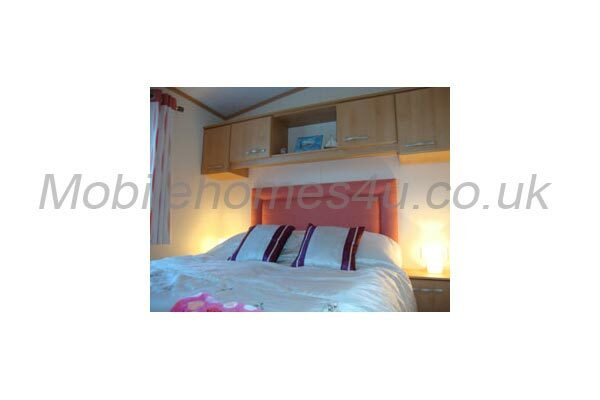 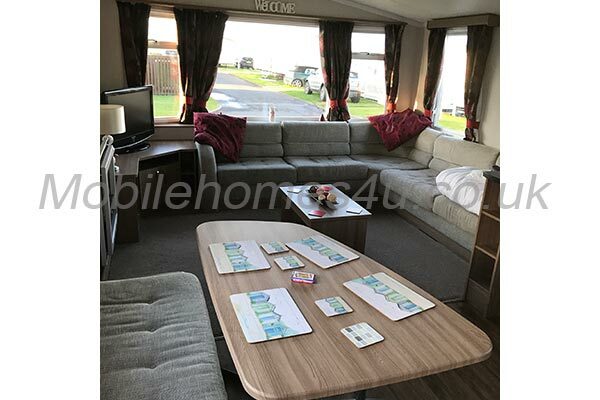 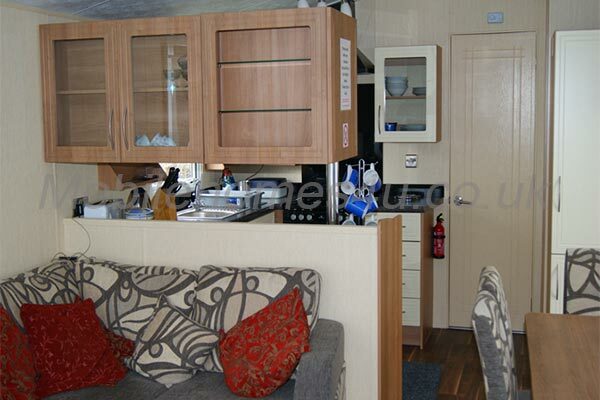 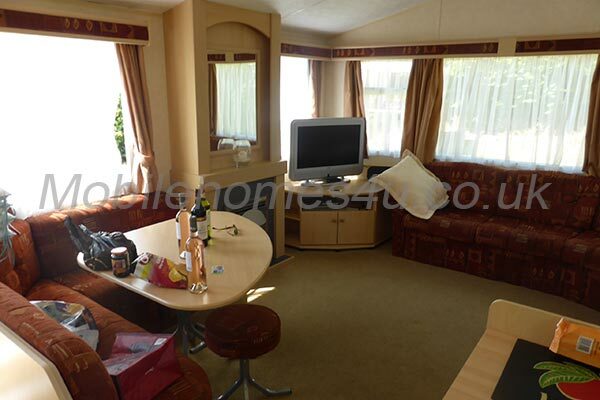 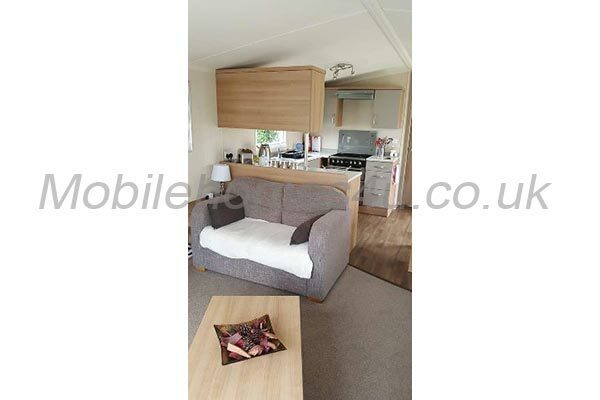 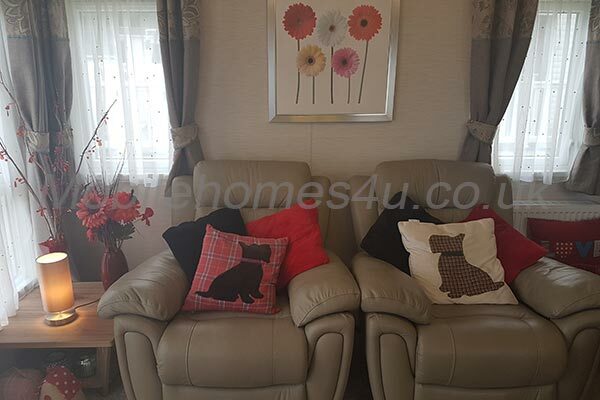 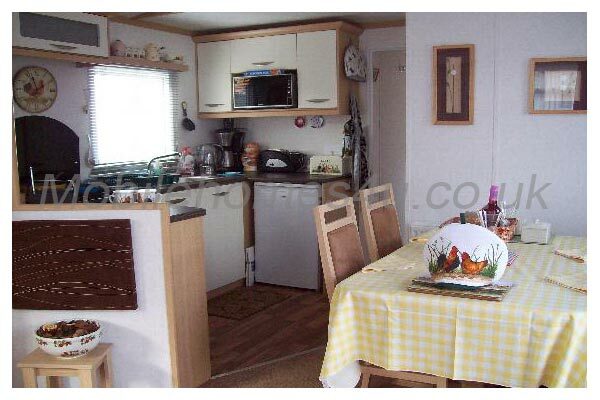 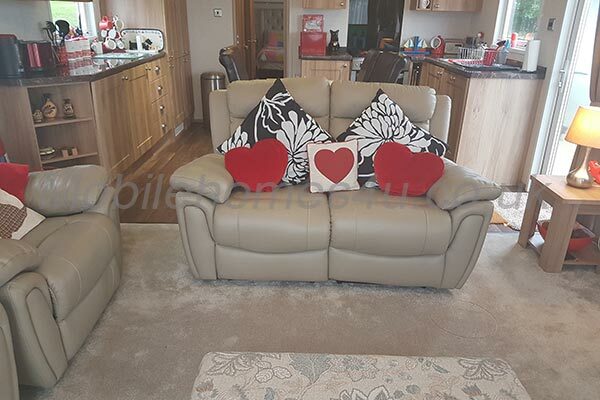 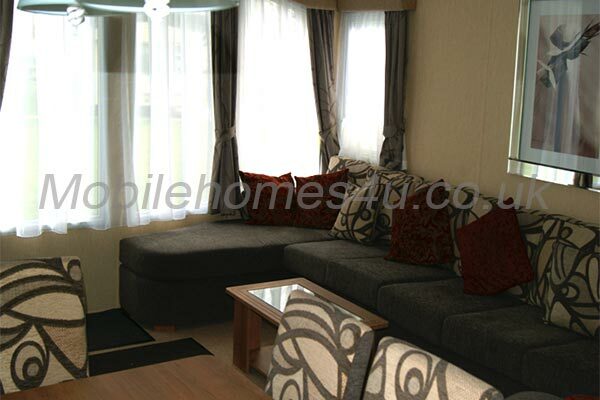 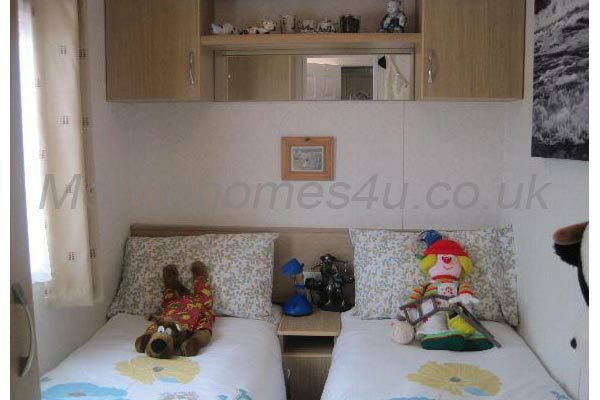 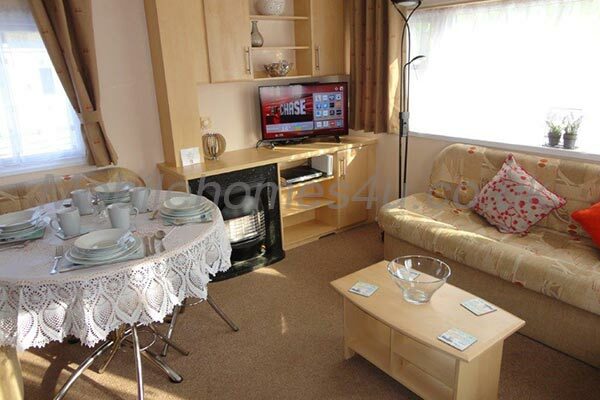 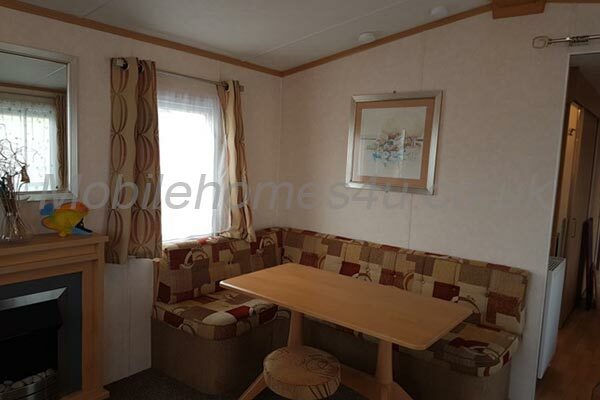 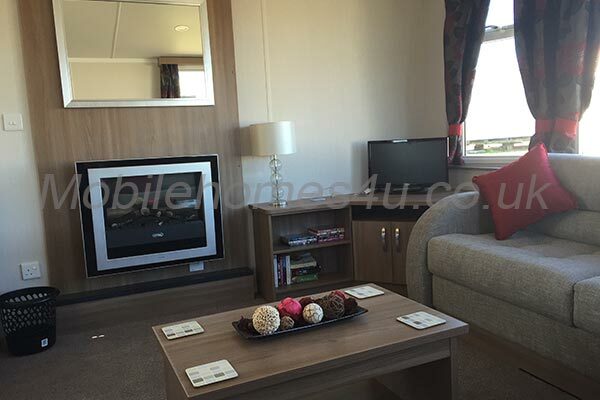 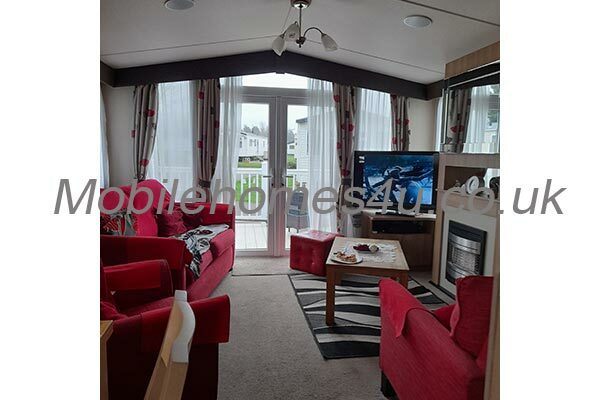 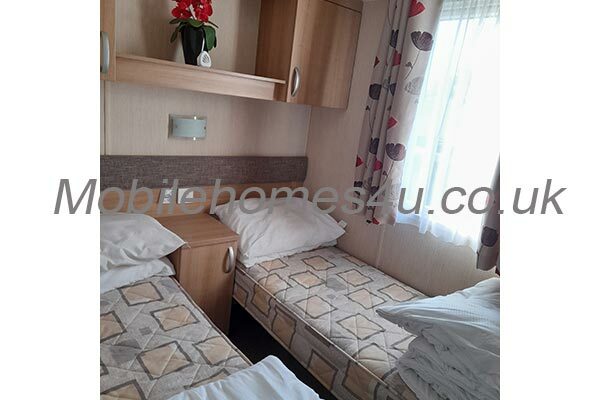 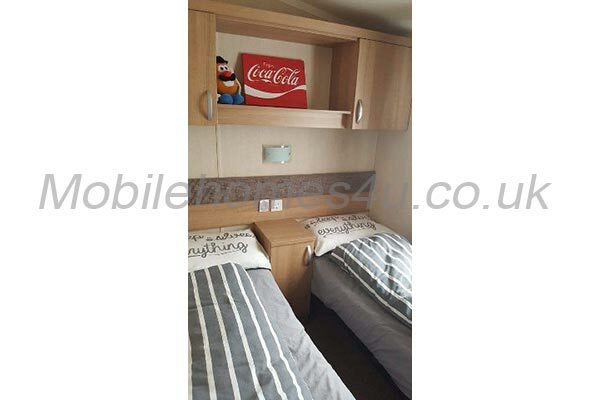 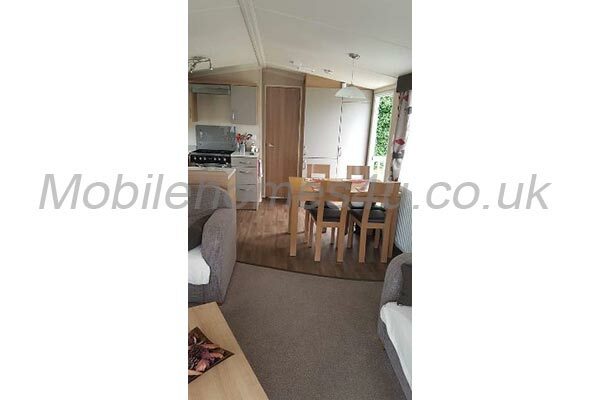 We have Sky TV and Freeview in our caravan, along with flat screen TVs throughout. 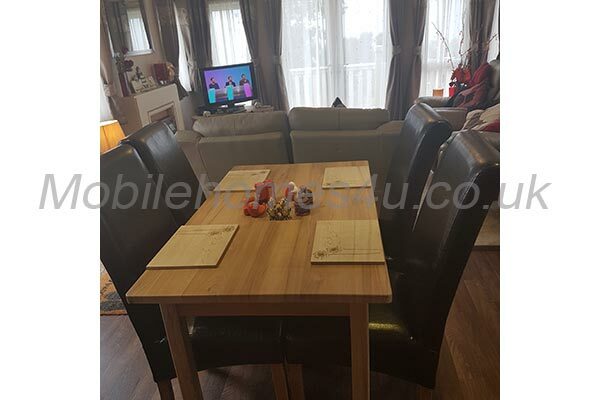 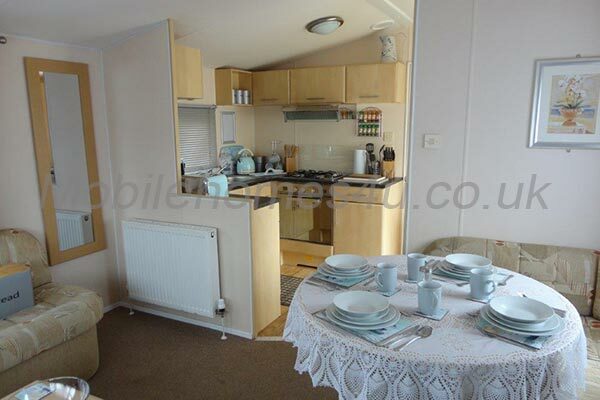 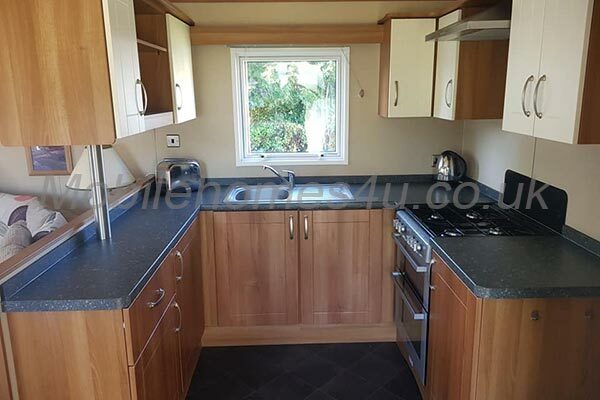 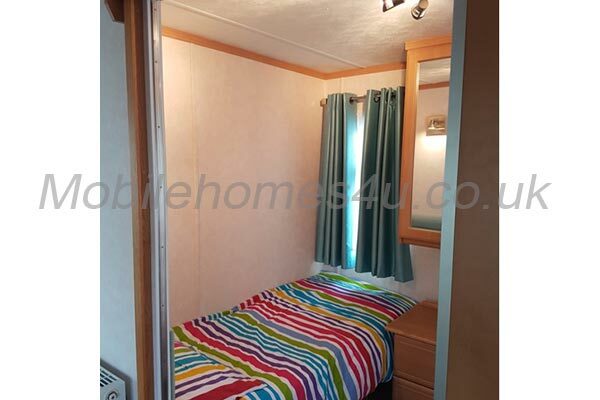 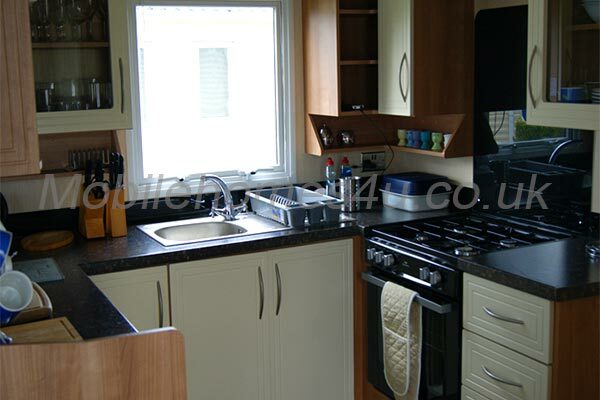 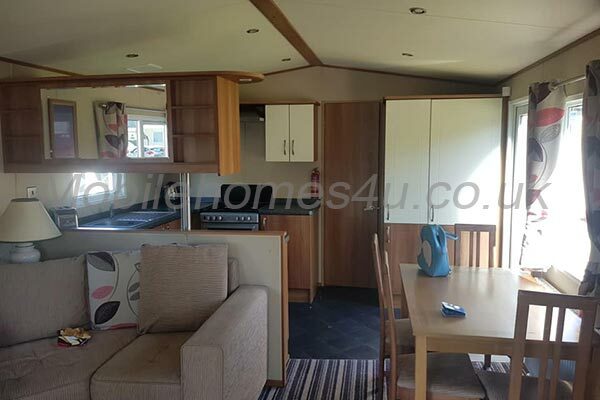 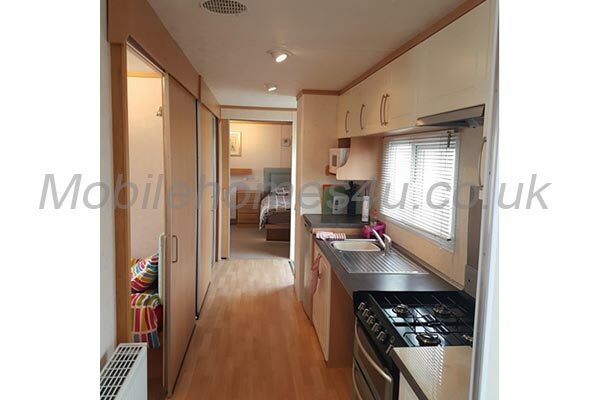 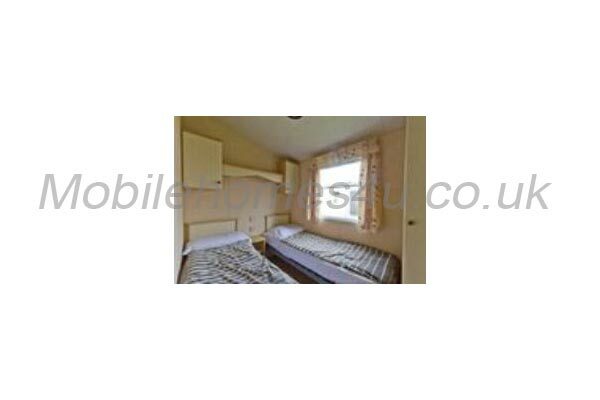 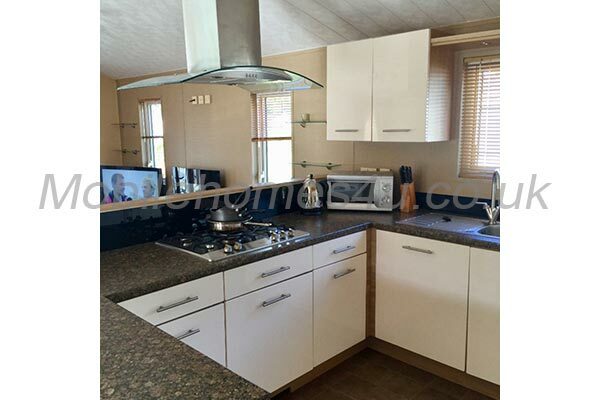 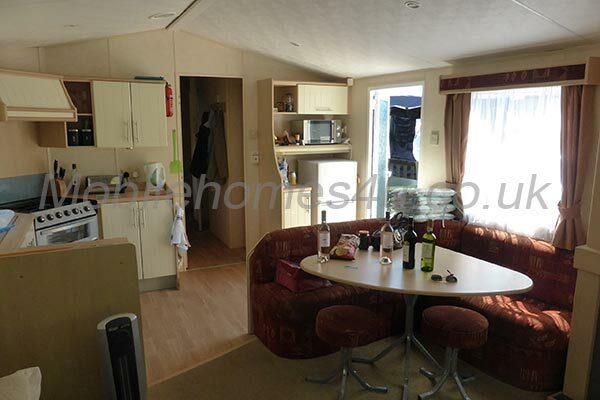 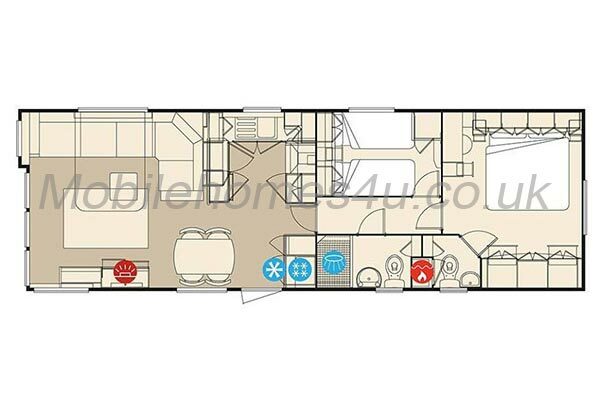 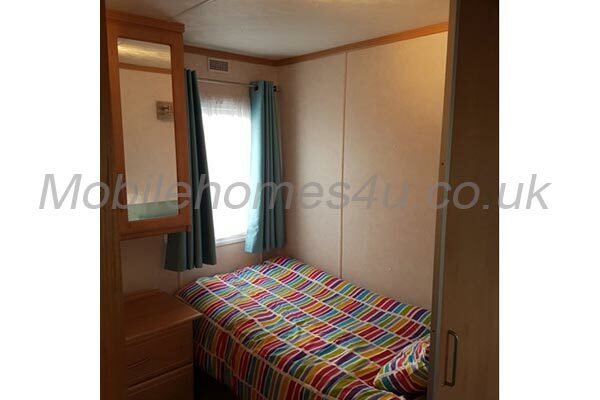 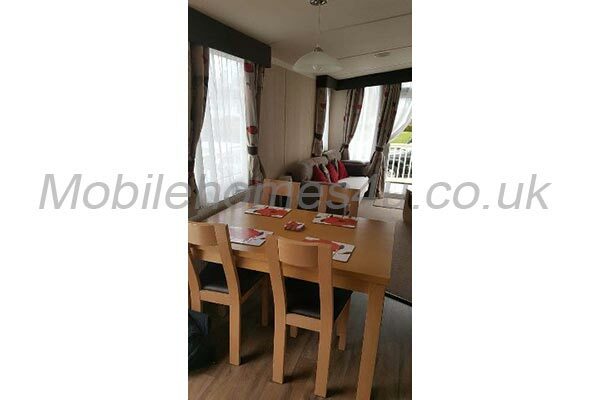 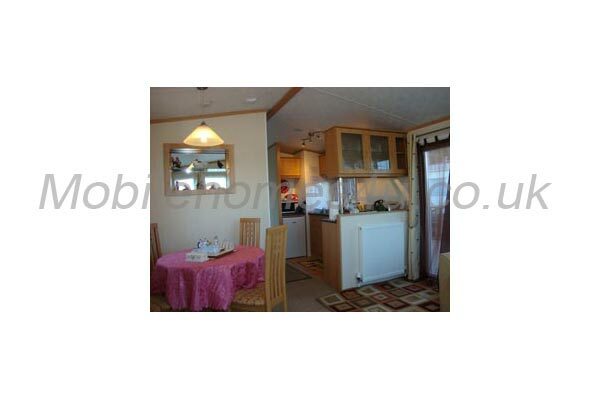 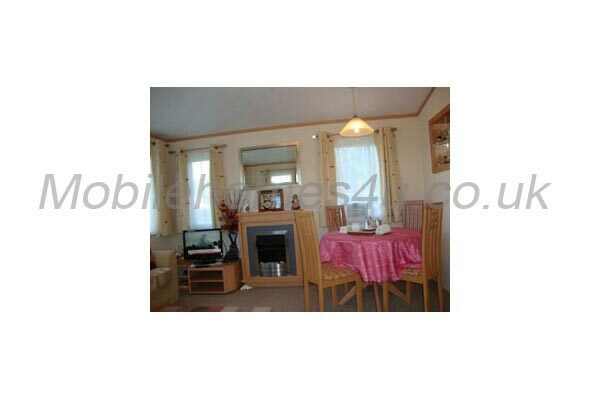 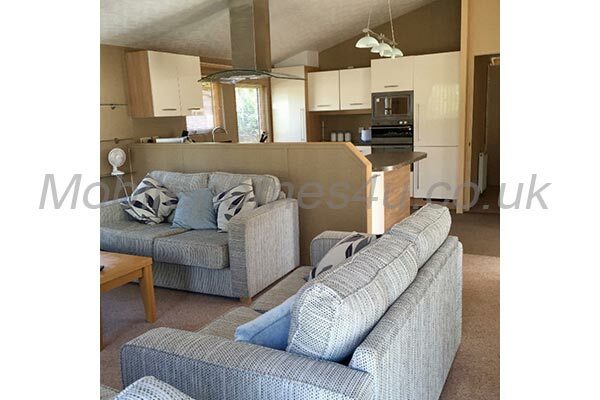 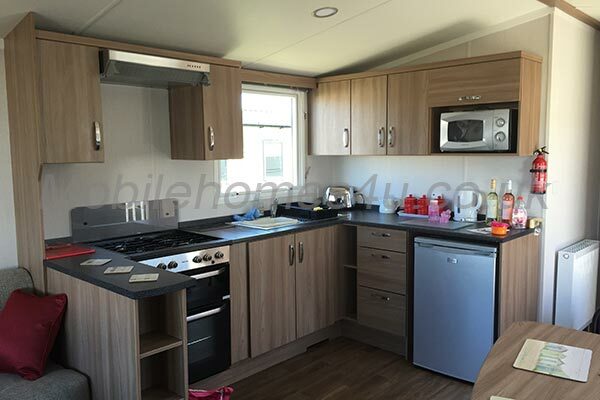 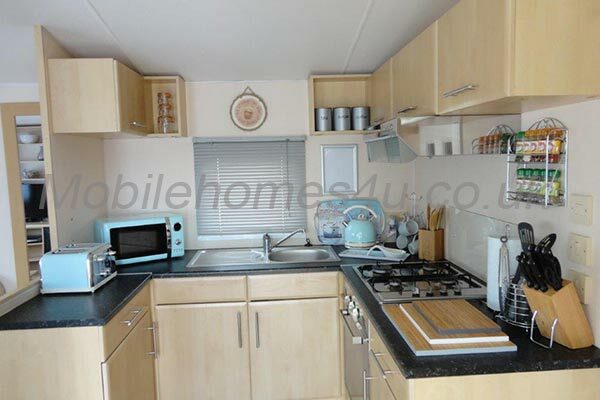 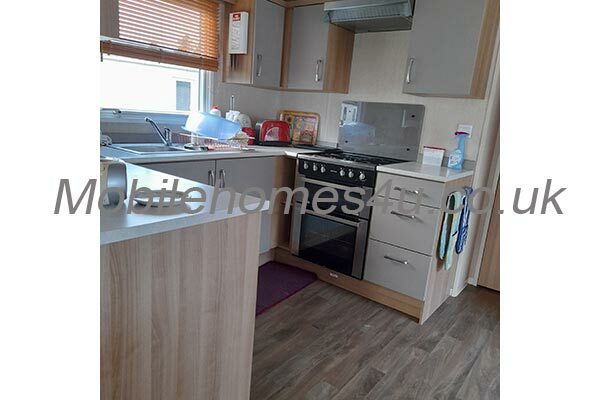 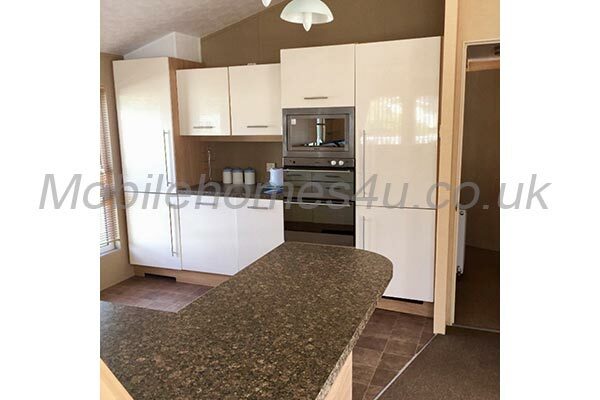 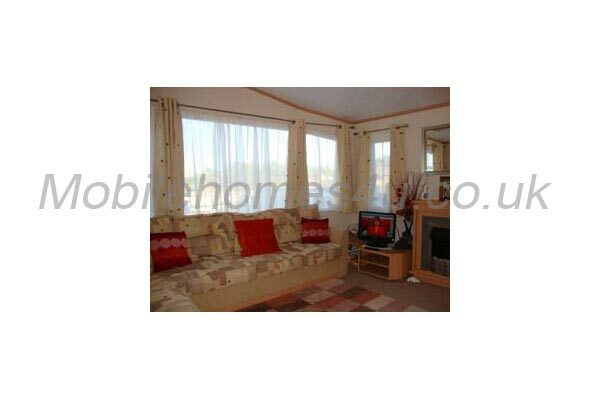 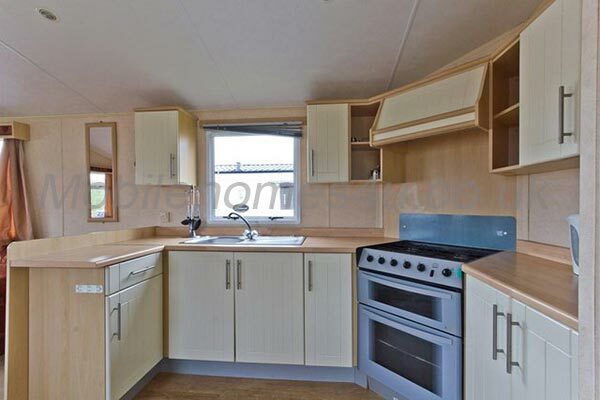 It has an open plan kitchen/dining area with a full height fridge freezer. 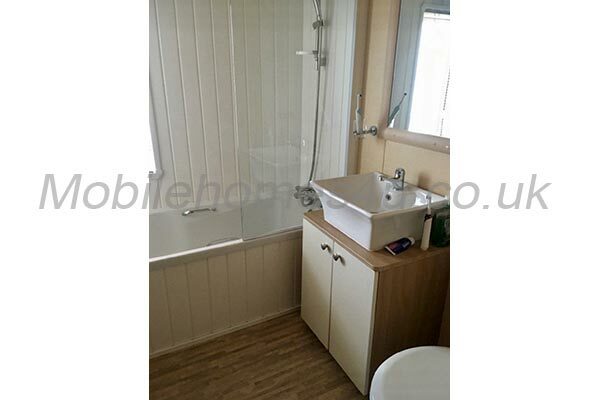 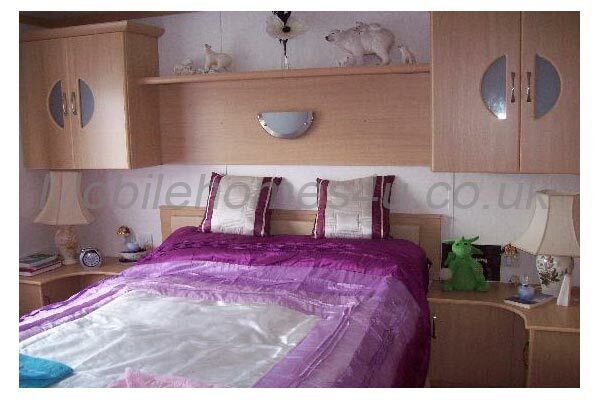 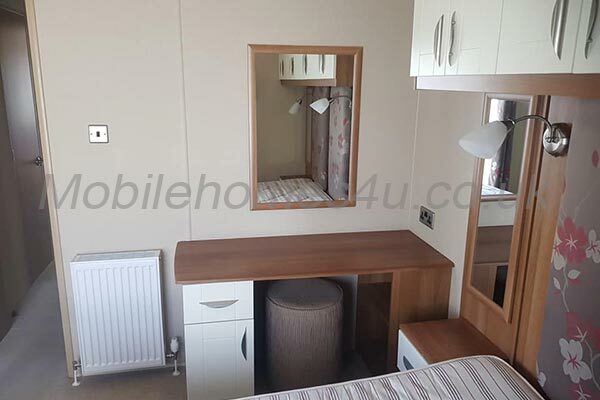 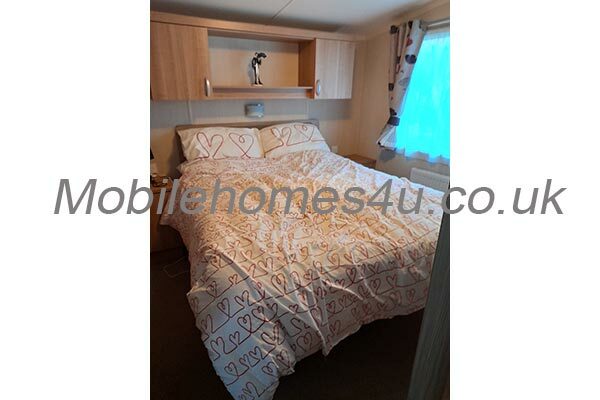 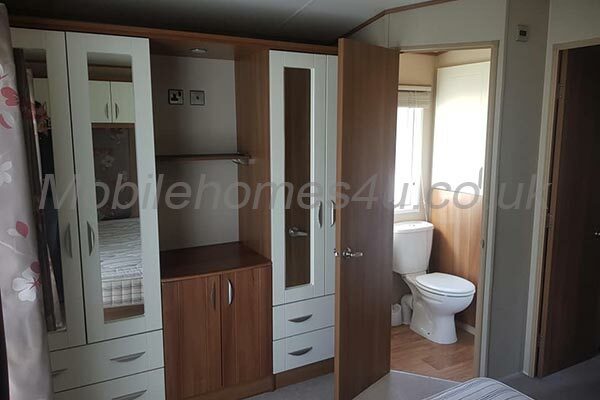 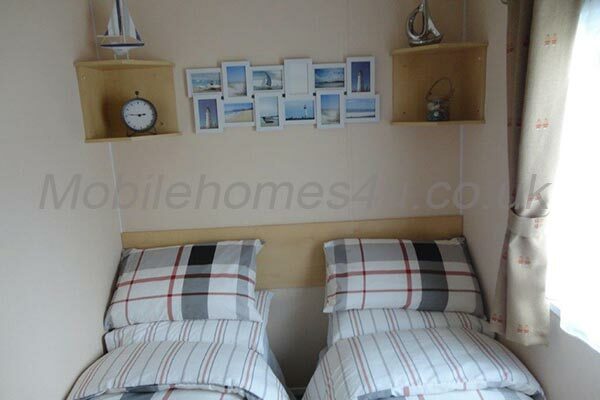 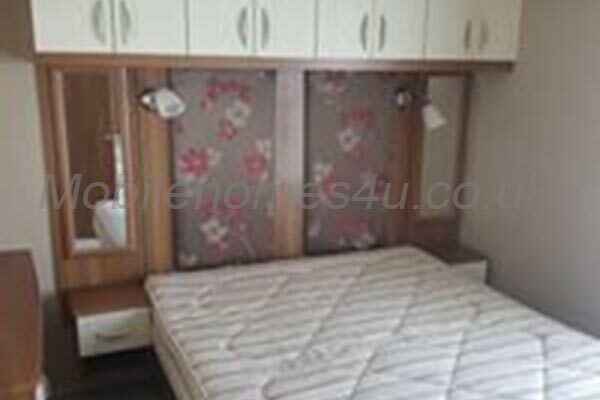 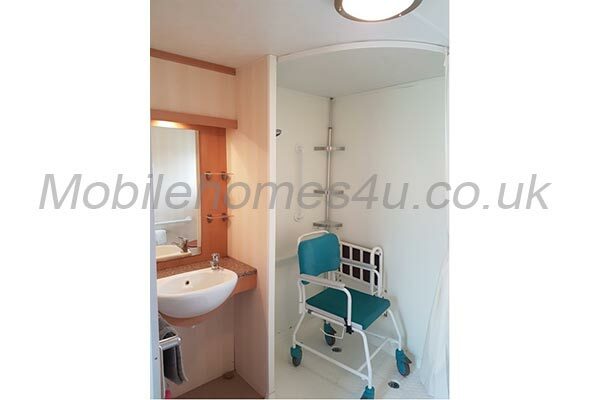 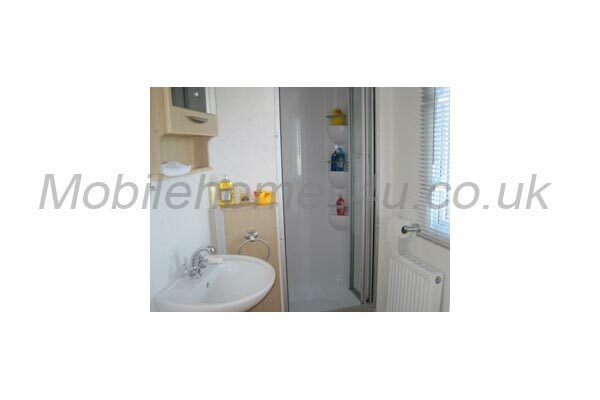 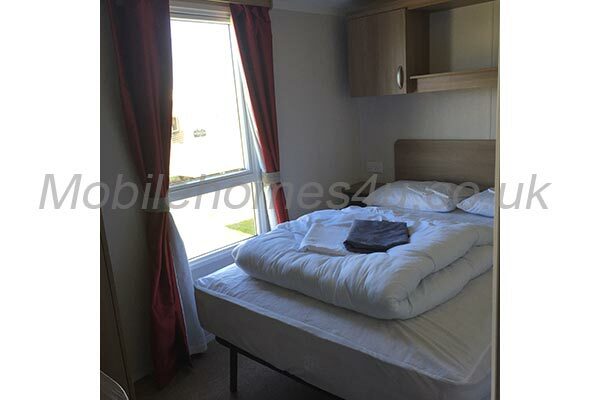 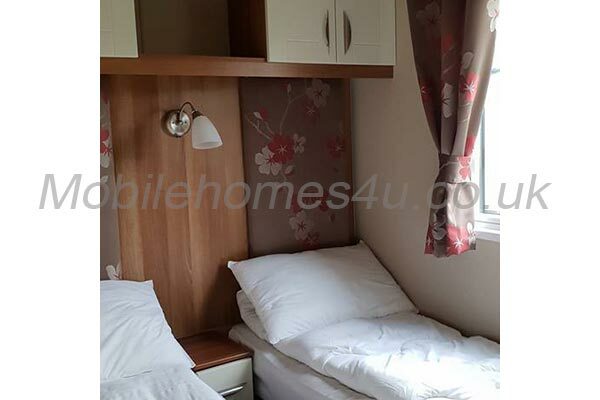 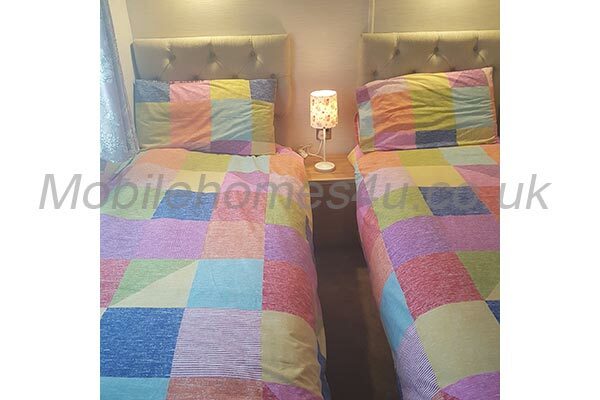 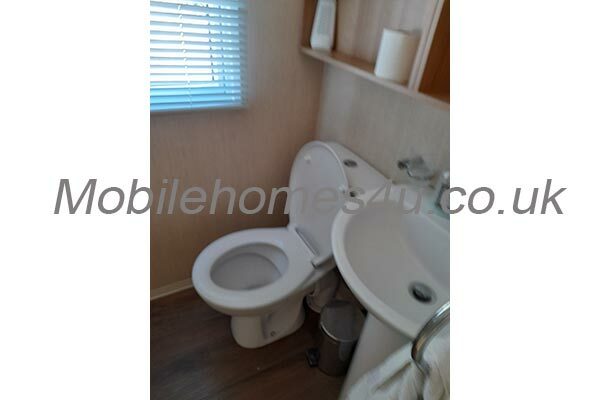 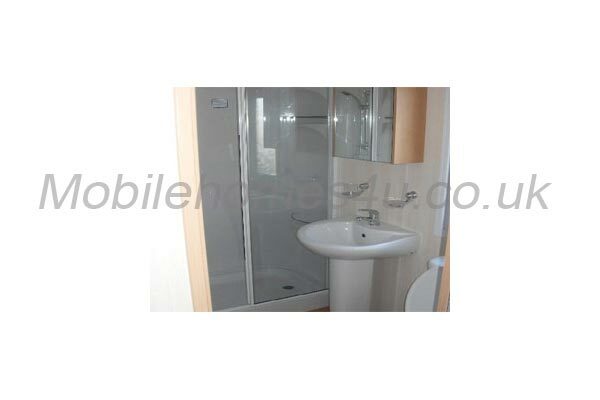 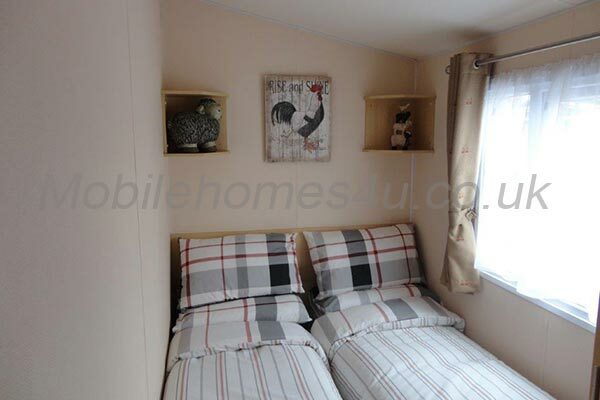 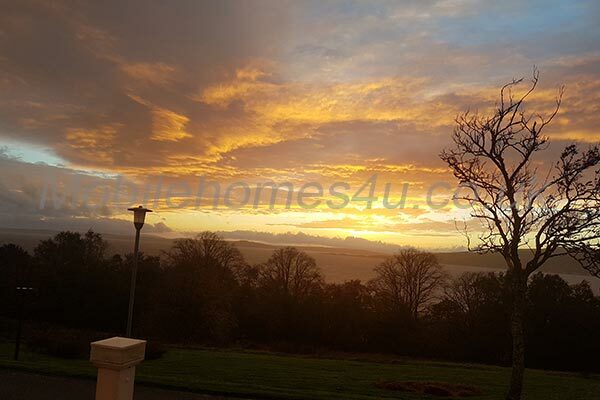 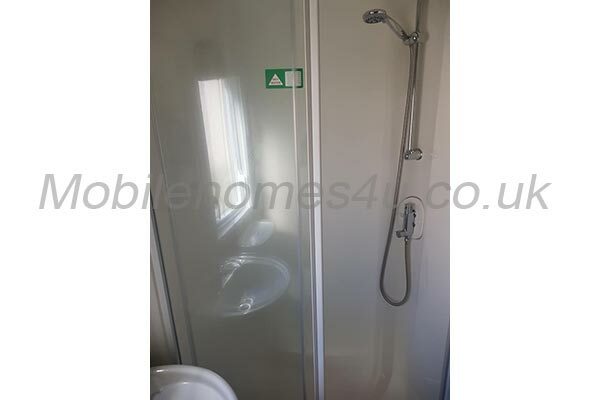 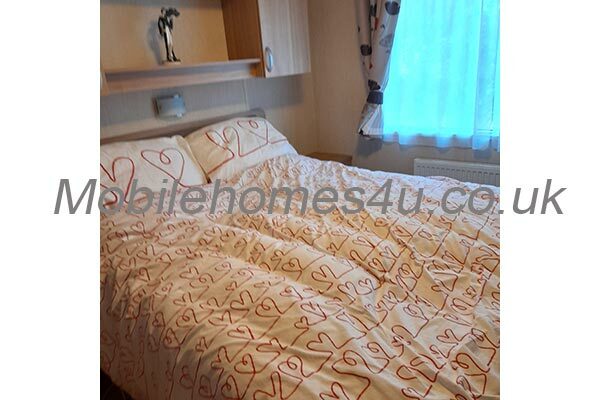 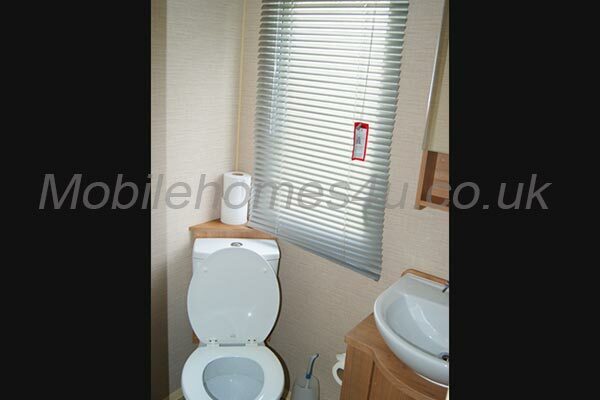 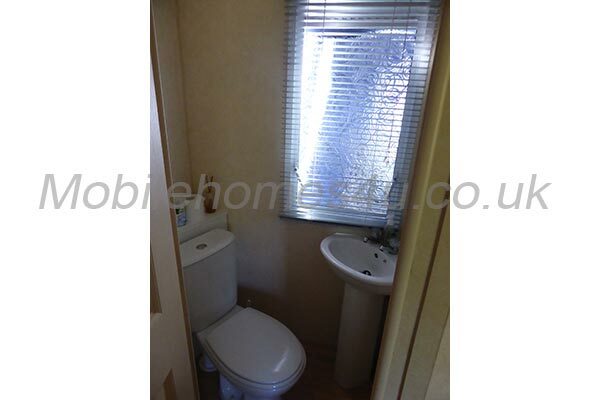 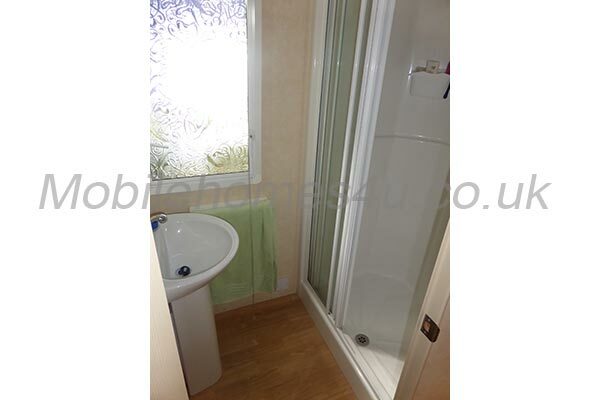 3 bedrooms with en-suite in master bedroom. 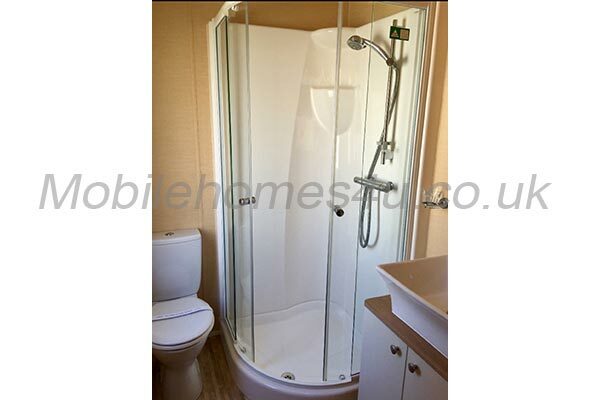 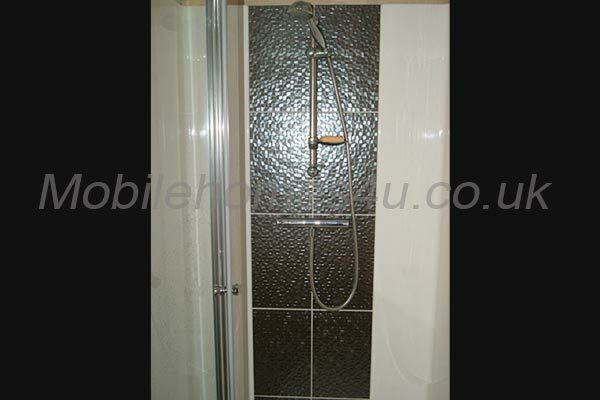 Main bathroom with shower, basin and W.C. 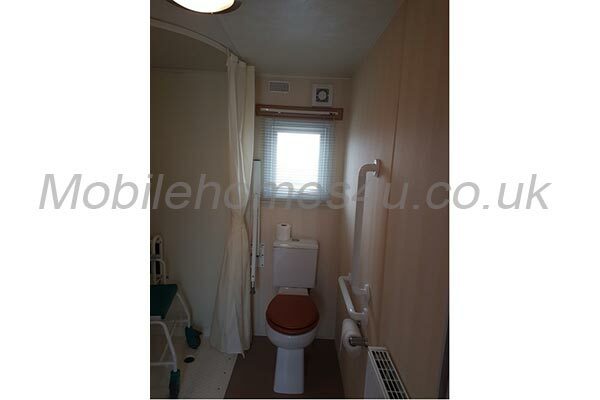 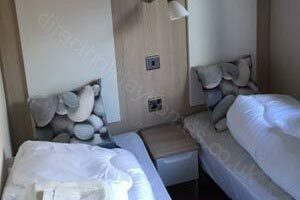 The main bedroom has an en-suite with dresing area. 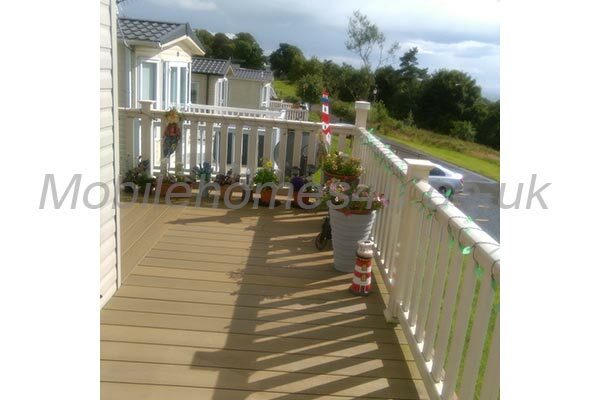 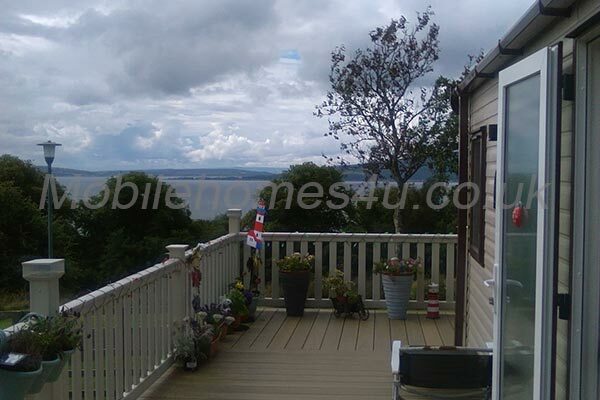 Outside there is decking and seating with lovely views. 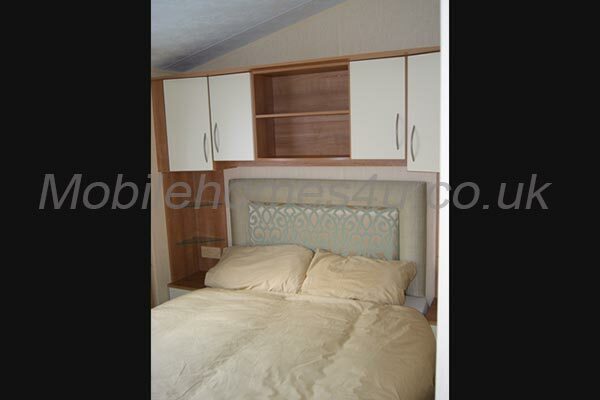 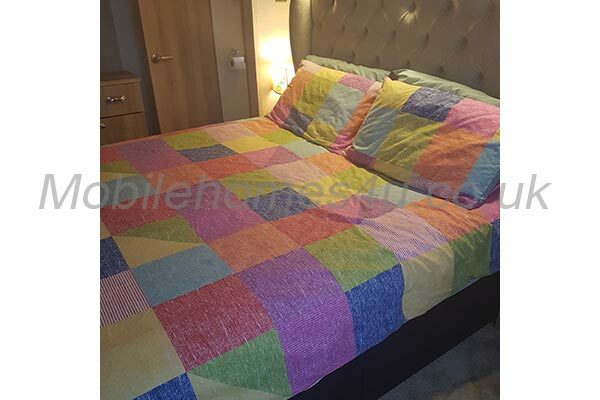 All prices include bedding, gas, water, electric etc. 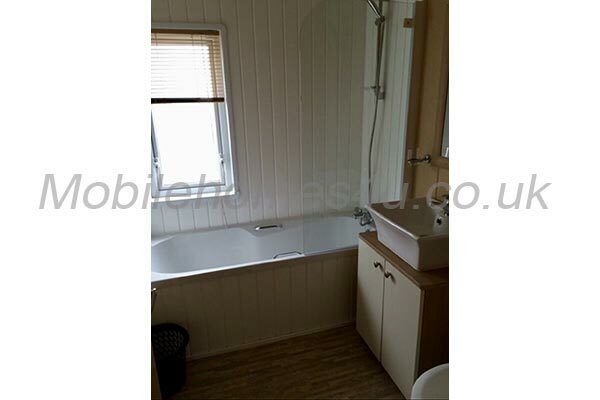 All you need to bring are your own towels. 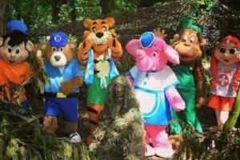 Passes are not provided, but can be purchased direct from Haggerston Castle's Reception. 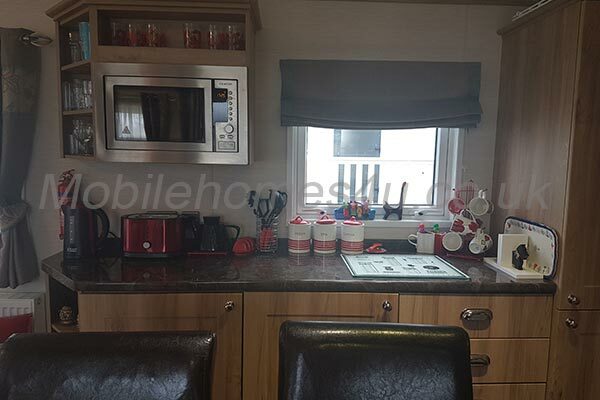 No pets and no smoking is allowed in our caravan, sorry.